You will earn 4,091 Reward Points. Earn 1 reward point for every 1 dollar spent. This versatile Beverage Air SPED48HC-12M-4 Elite Series? 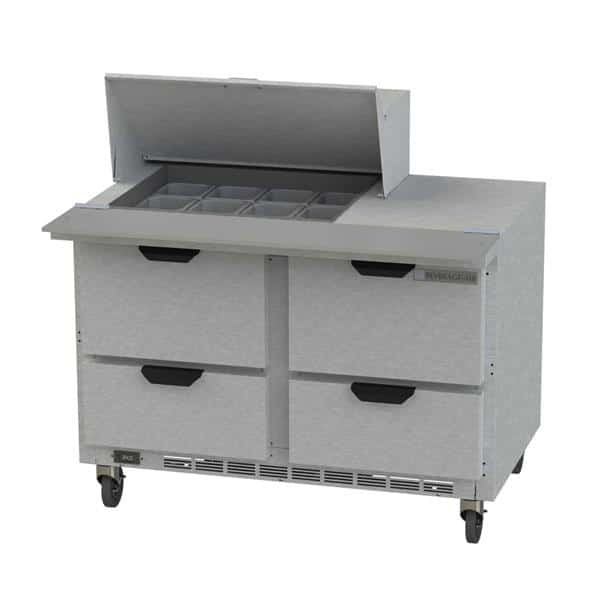 Mega Top Refrigerated Counter keeps refrigerated items chilled to perfection while you prep items for service. This worktable is 45.50 inches tall, 48 inches wide, and 36.63 inches deep.